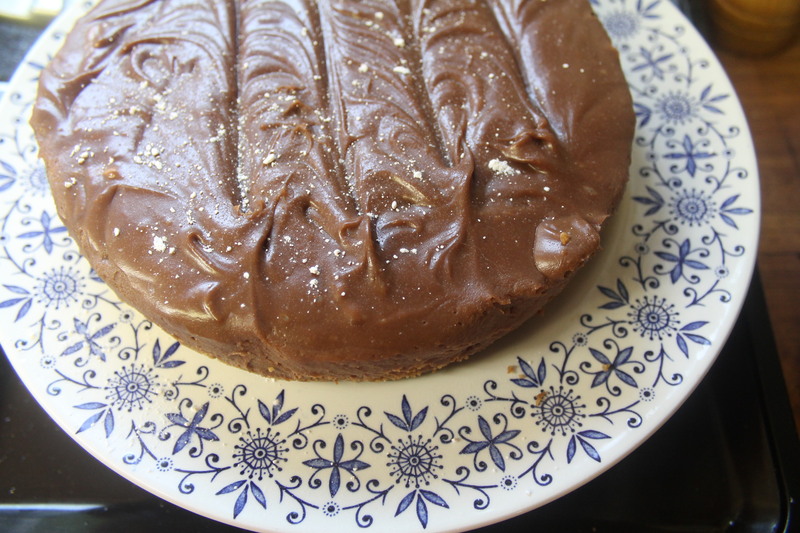 You chocolate lovers out there who cannot bake can have a field day with this recipe. 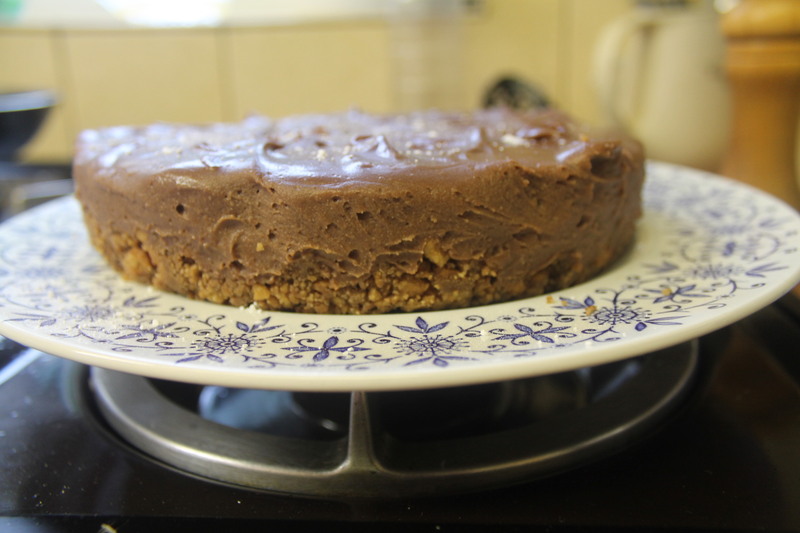 A no bake Nutella cheesecake! a 23 cms or 10 inches round spring form cake tin lined with baking parchment. Crumb the biscuits and add 1 tablespoon of Nutella, about 1/3 cup of hazelnuts if using and all the butter. Press this mixture evenly into the tin and put to chill. 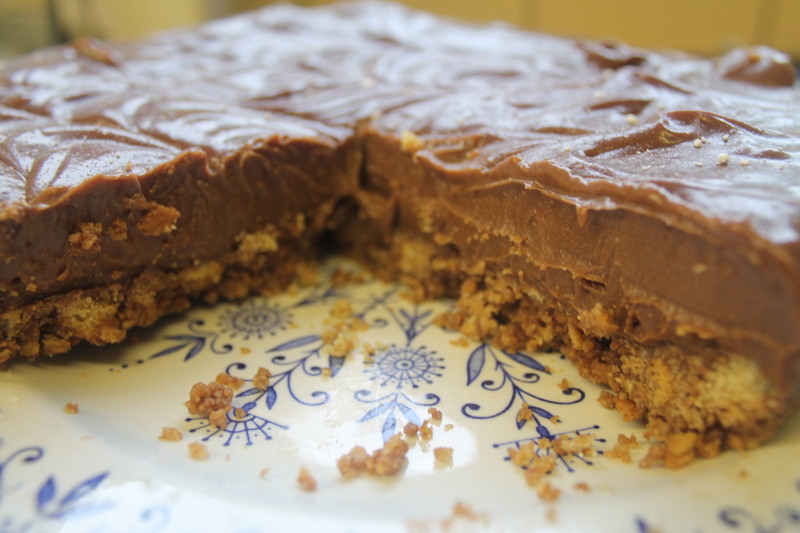 Meanwhile, make the filling by beating the remaining Nutella with the cream cheese and icing sugar until well mixed. Pour over the base and smooth the top. Sprinkle the top with the remaining nuts if using and leave to chill in the ‘fridge for 3-4 hours or, if you are in a hurry, the freezer for one hour. Serve this cold direct from the ‘fridge otherwise you will find it too soft to handle. I did not use the hazelnuts because although we all like Nutella we are not keen on hazelnuts themselves. That is it! No baking and nothing much to go wrong. Enjoy with a good strong black tea, it is very sweet! This sounds a great way to use up left over biscuits! I’m going to have a go at this – I guess you could also use Speculoos, the Dutch biscuit spread? That would be like double biscuits!